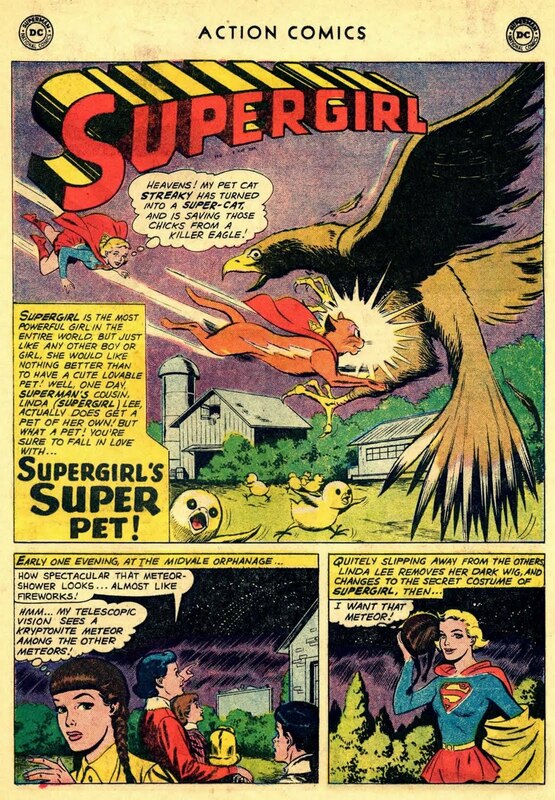 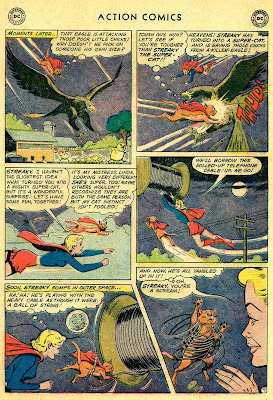 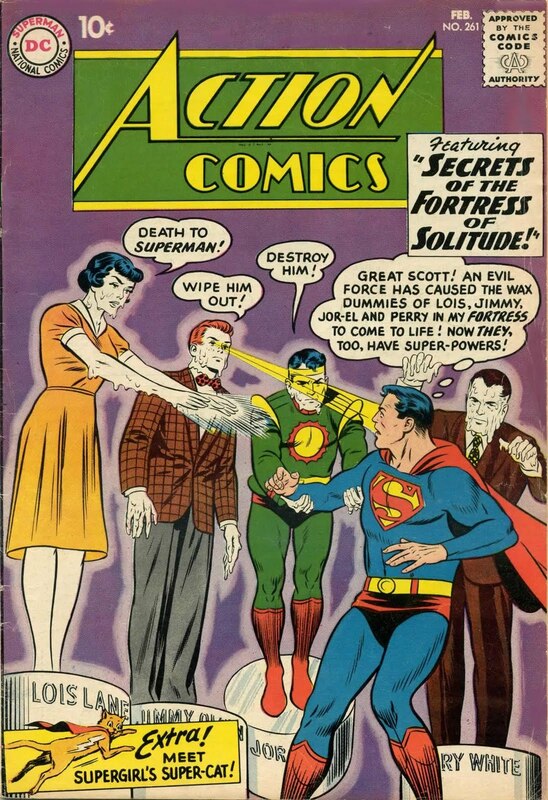 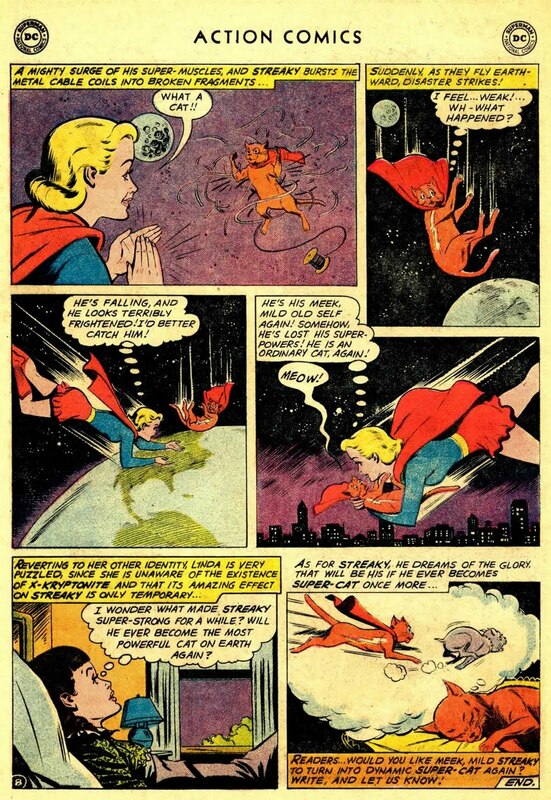 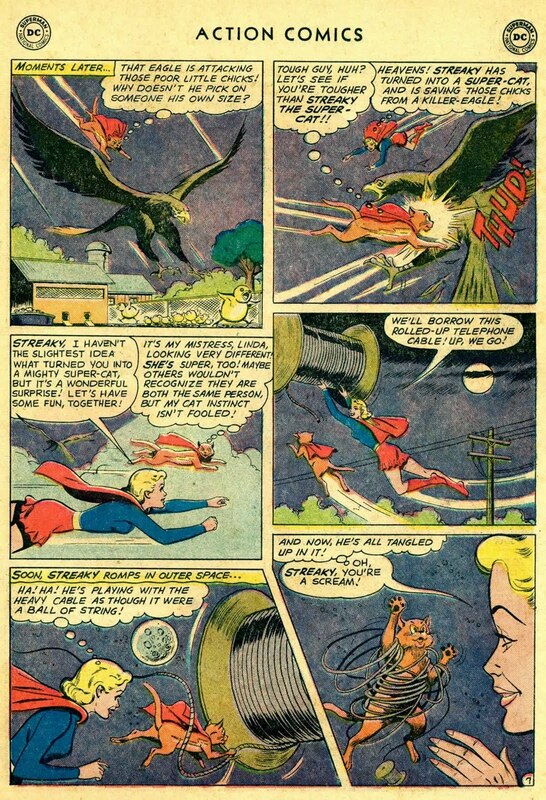 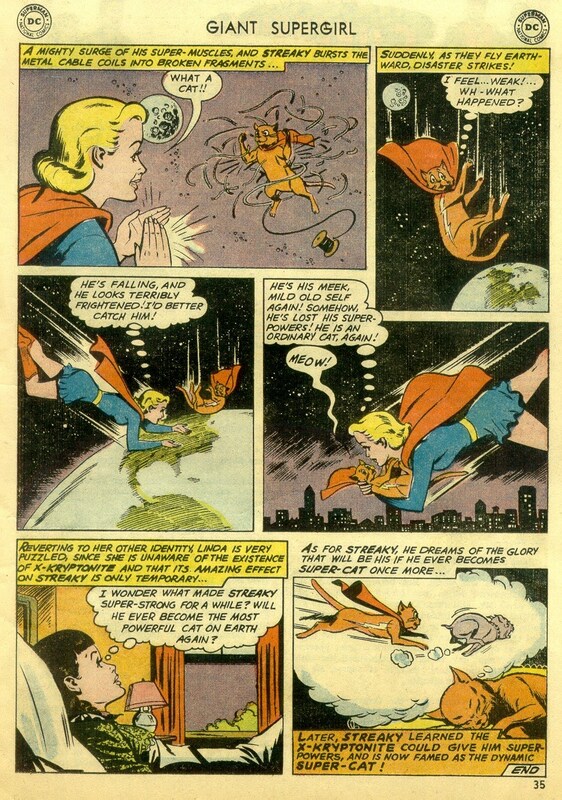 Supergirl: The Maiden of Might: Action Comics #261: "Supergirl's Super Pet!" 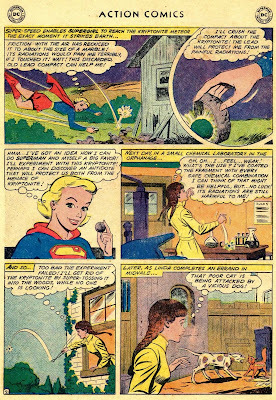 Synopsis: Supergirl recovers a small Kryptonite meteor and unsuccessfully tries to find a chemical combination that will render it harmless. 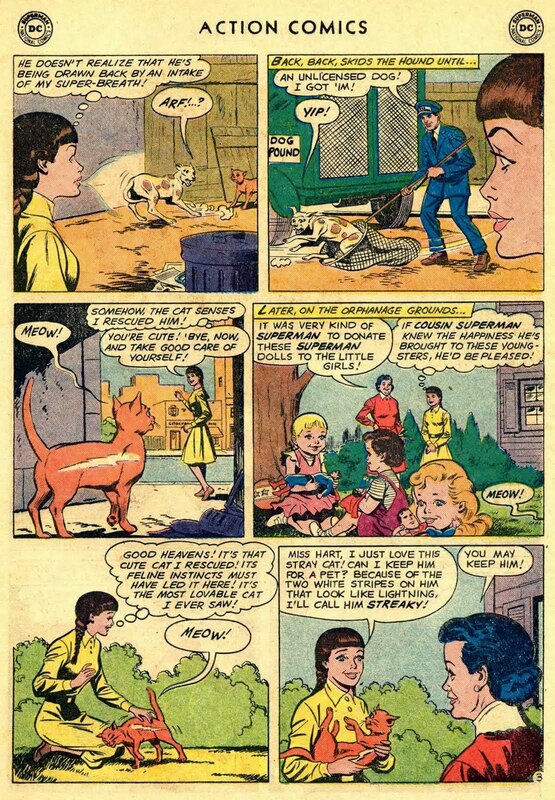 Later, Linda saves a stray orange cat from a dog. 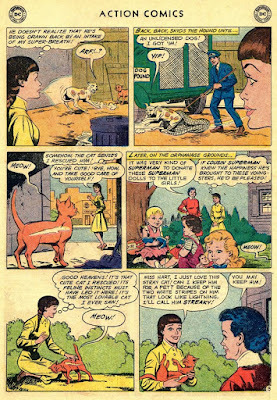 The cat follows her home to the orphanage, where Linda gets permission to keep him. 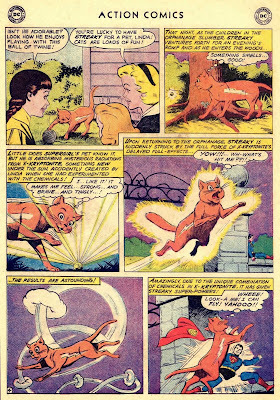 Because of the white markings on his side, she calls him Streaky. 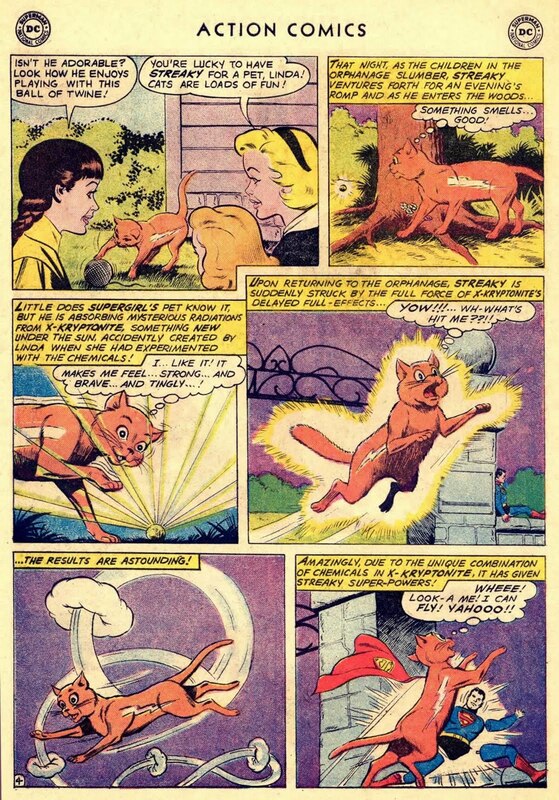 Streaky discovers the piece of discarded Kryptonite, and receives super-powers from it. 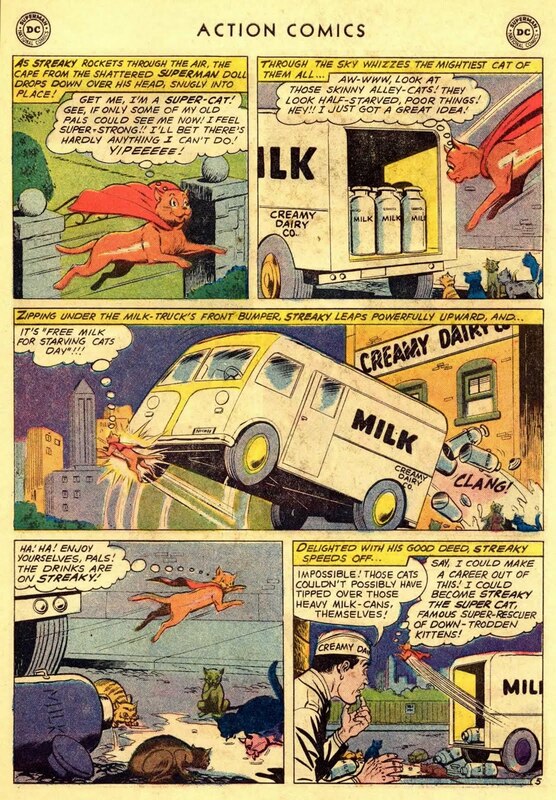 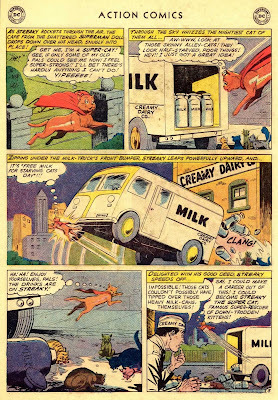 Streaky feeds some stray cats by tipping over a milk truck and chases off a bullying dog. 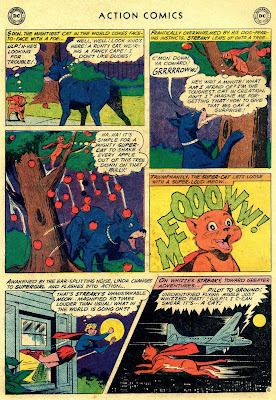 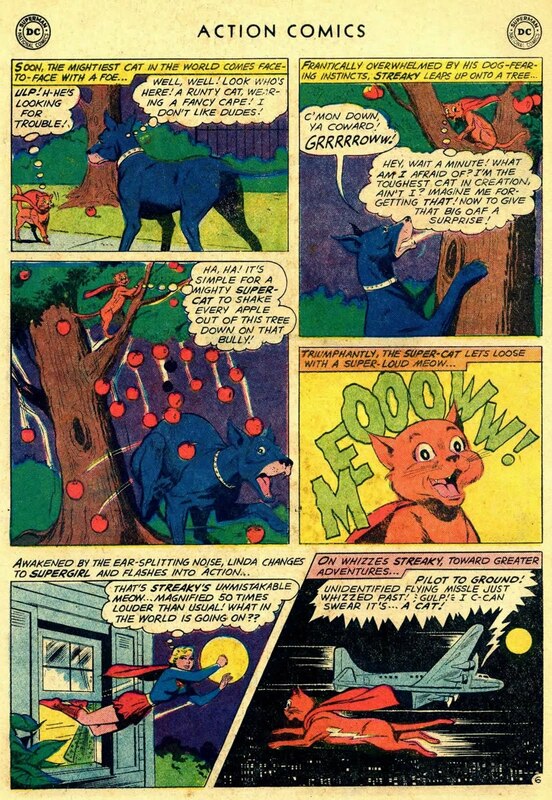 Eventually his "meows" attract Supergirl and the two have some super-fun before Streaky's powers fade.